Back Rest Section is adjustable on Ratchet. Tubular Head & Foot Bows are of equal height. 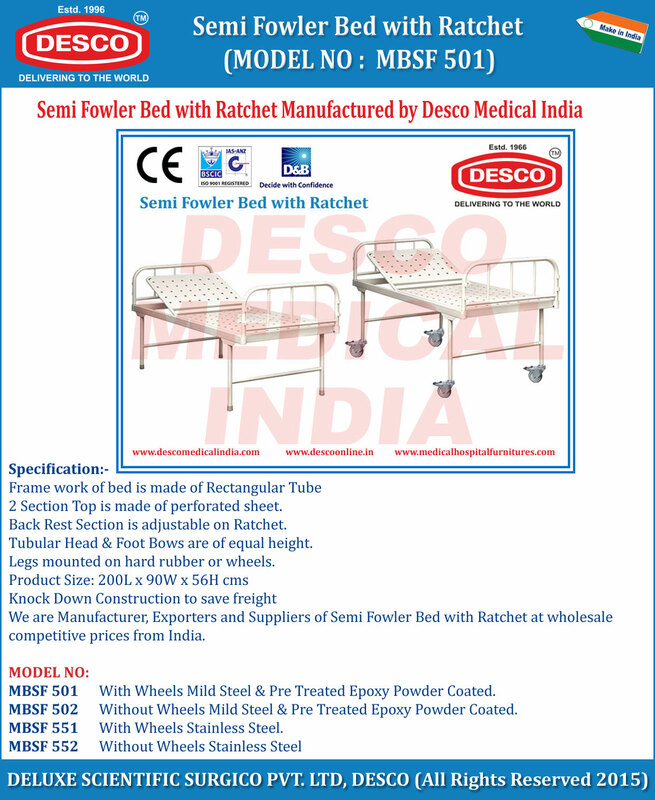 We are Manufacturer, Exporters and Suppliers of Semi Fowler Bed with Ratchet at wholesale competitive prices from India. MBSF 501 With Wheels Mild Steel & Pre Treated Epoxy Powder Coated. MBSF 502 Without Wheels Mild Steel & Pre Treated Epoxy Powder Coated.